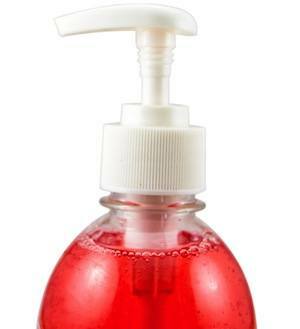 A lot of people might be wondering... what is triclosan? Despite the fact that they've probably used it. In fact, it’s estimated that the chemical is used in three-quarters of all anti-bacterial body washes and liquid soaps sold around the country, and some manufacturers even use it in products like deodorant and toothpaste. This comes on the heels of a rule that was proposed by the FDA in December saying that manufacturers of antibacterial soaps and body washes need to show both that their products are safe for people to use on a daily basis as well as being more effective than simply using regular soap and water. 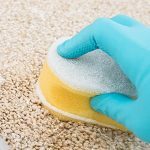 This second part might be particularly difficult since a number of critics – the FDA included – have argued that there’s no evidence for Triclosan soaps being better at keeping diseases from spreading than just washing with soap and water. Minnesota’s ban wouldn’t go into effect until January 1, 2017, but many believe that manufacturers may get rid of Triclosan long before then. Several companies are already working hard to do just that. By 2015, Johnson & Johnson plans to remove Triclosan from all of its products, and Procter & Gamble products should be Triclosan-free by the end of this year. Seeing the benefits of removing the potentially dangerous chemical, they’ve even begun marketing some products like Crest as "Triclosan-free." 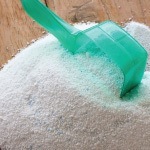 While it remains to be seen how much of an impact this ban will really have, and if other states will follow, it’s certainly a step in the right direction for those trying to protect their loved ones from dangerous, unwanted chemicals. 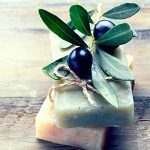 In the mean time, take the safety guesswork out of the equation and just purchase organic soap that doesn't contain any questionable chemicals. Leah M. Zorrilla, Emily K. Gibson, Susan C. Jeffay, Kevin M. Crofton, Woodrow R. Setzer, Ralph L. Cooper and Tammy E. Stoker. The Effects of Triclosan on Puberty and Thyroid Hormones in Male Wistar Rats. Toxicol. Sci. (2009) 107 (1): 56-64. Cale T. Anger, Charles Sueper, Dylan J. Blumentritt, Kristopher McNeill , Daniel R. Engstrom , and William A. Arnold. Quantification of Triclosan, Chlorinated Triclosan Derivatives, and their Dioxin Photoproducts in Lacustrine Sediment Cores. Environ. Sci. Technol., 2013, 47 (4), pp 1833–1843. 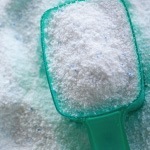 Do You Know These 6 Facts About Laundry Detergent?